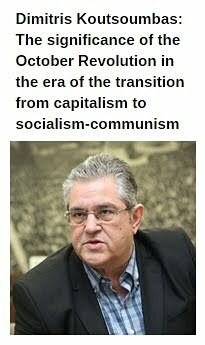 In Defense of Communism: TKP statement on Turkey's early elections: "We hold our salvation in our own hands"
TKP statement on Turkey's early elections: "We hold our salvation in our own hands"
"Turkey is experiencing a political gridlock which binds both the ruling party and opposition parties. This gridlock cannot be eliminated with early elections as suggested by Erdoğan and his partner Bahçeli. For at the root of this gridlock, there lies the Turkish economy that has come to an almost complete standstill; there lies the Turkish foreign policy which tosses and turns restlessly within the imperialist world; there lies internal policies which fail to go to the root of the problem but fiddle with fake solutions; there lies the fact that large masses are condemned to despair and helplessness; there lies this social order that persistently creates poverty, unemployment, injustice and tyranny. This social order must be toppled down. An early election can neither fulfill, nor eliminate this requirement. 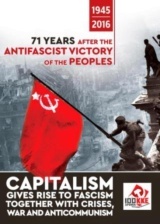 The Communist Party of Turkey will act according to this vital requirement and will tenaciously emphasize that the current system of exploitation has reached the end of the road. 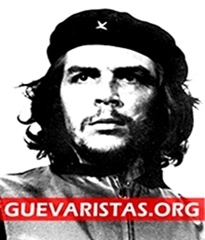 The TKP will represent the only real choice of our people, the only way out of this darkness, i.e. 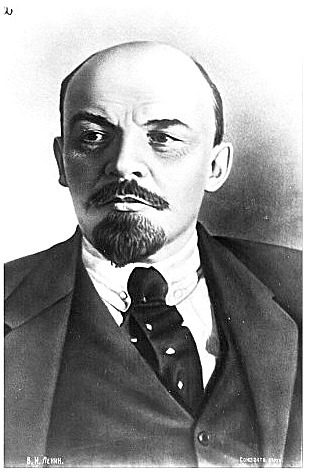 “communism”, as a concrete, tangible social order. This is the only way for Turkey to get rid of this dismal picture. This is the only way for Turkey to close the doors to fake solutions and empty promises. This should be the answer of the toiling masses to the years-long tyranny of Erdoğan and the AKP, which has lasted more than enough. The Communist Party of Turkey is the political representative of this answer, and it will do its best to strengthen, to organize, to put flesh and bones on this answer during the election period. Our party has met the eligibility criteria. If the Supreme Electoral Council, which rendered the already unfair electoral system prone to all sorts of fraud with its strange and unlawful decisions so as to turn it into a playground for the ruling party, insists on pursuing the goal to keep the TKP out of the elections, no one should expect the TKP to show humility and step aside. 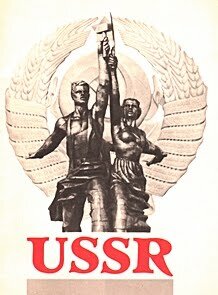 Nobody has the power to mute socialism in July 24 elections. The TKP will not allow the toiling masses to be left without a choice in parliamentary elections. The presidential election to be held on the same day is nothing but a gross attack on people’s right to vote and stand for election. It cannot even be considered as an election. Moreover, one should keep in mind that our people rejected all regulations regarding the presidency in the referendum held about a year ago. On June 24, the ruling party wants to complete the process which was launched with an evidently fraudulent ballot. The TKP repeats what it said a year ago about presidential elections: a process which substitutes the discussion of the country’s problems and solutions offered to these problems with a discussion on certain individuals should be rejected. Turkey can and will be liberated by the will and steadfastness of people to change this social order, not by the will of this or that person. 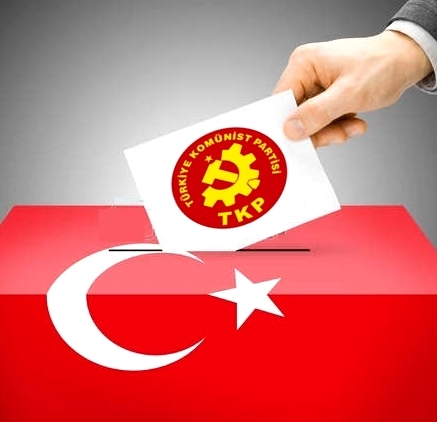 The TKP will work to organize the will of people in the presidential election. We hold our salvation in our own hands. The only force capable of tearing this mechanism that ceaselessly imposes deadlocks on our country to shreds is the toiling people of Turkey. The people should stand up and show this power in the upcoming May 1 demonstrations. As a day on which the working class shows its massive strength in Turkey going to the polls, May Day is more important than ever. On May 1, workers must take to the streets to demand the change of this social order. Those who will take to the streets on May 1 are those who will change the destiny of Turkey. On that day, both friends and foes must see who the real owners of this country are. 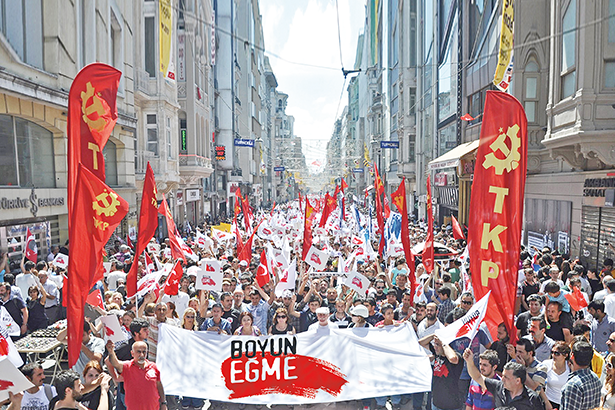 The TKP calls on our people to extend hope in May Day rallies along with the party. 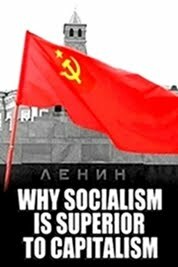 The Communist Party of Turkey is the party of the working class, not that of parasitic moneybags who rob the country blind. In the order of these magnates, it is only poverty, unemployment, injustice and tyranny that fall to our people’s share. And nothing else will ever fall to our share unless this social order is toppled down. Yet this order can be toppled down. Turkey can become an enlightened country, a country of the free and equal, where poverty and unemployment, injustice and tyranny are ended as long as the people rise up, as long as the solution is not sought within the so-called choices imposed on us by this order, as long as the people get organized to change this order. 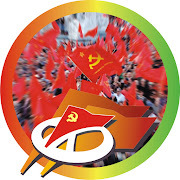 The Communist Party of Turkey will foster this will in the upcoming elections. 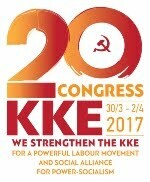 The TKP calls on our people to organize this will along with the party"
The Central Committee of the Communist Party of Turkey.